Does the work for you. The effect varies from person to person. If you have an allergic condition, stop using it. Children should be under adult supervision. 1X nail repair solution. Net content: 3 (g/ml). USD 2.18 664 sold. Gehwol Fluid softens nails and makes them more flexible, helping to prevent them from growing inward. Softens hard skin beneath the nail and in the nail fold, so that it can be easily removed without pain. Item Type:Nail Softener. 1 Pc Nail Art Softener. Pure natural ingredients, quickly soften dried skin when doing nails. Keep the skin surrounding the nail soft and smooth. Keep the skin surrounding the nail soft and smooth. 1 x Cuticle Nail Pusher Spoon Cut Manicure Pedicure Remover. 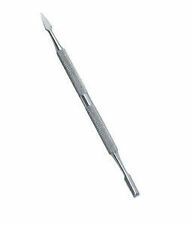 2.Dual-end pusher for pushing and cutting nail cuticle. The blade scrapes the hard-to-remove leftover skin residue on the nail and great for removing glue when using acrylic nails. 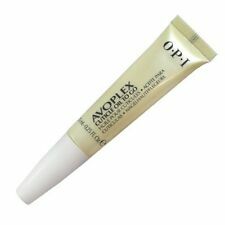 Also used to target natural nail imperfections and weaknesses that prevent natural nails from growing long. 100 applications of 10 nails per. 33 fl oz bottle. 36 month shelf life Under Gel Polish Step One of the Protective Shield Used prior to IBX. The Edge Cuticle Remover Serum 10ml The Cuticle Remover Serum is perfect for helping to gently remove and exfoliate cuticles reducing the need to push or scrape them. The serum is enriched with Pro Vitamin B5, E and A and comes in a 10ml dropper bottle making application accurate and hygienic. The serum also helps to add moisture to cuticles. A Professional Product for Professional Results. Manufacturer: Cuccio. 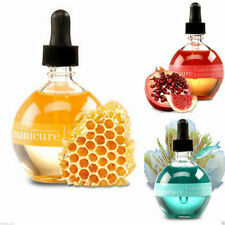 This professional quality manicure oil with milk and honey, adds the perfect touch to any manicure or pedicure. Apply one drop of cuticle revitalizer to each cuticle and massage gently. Batrafen healing nail polish is specially developed. During the first month Batrafen lacquer is applied in a thin layer. During the first month Batrafen varnish applied. 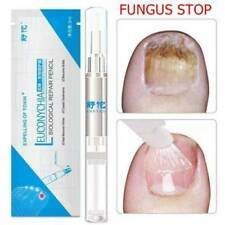 which cause fungal infections of the nails. 12pcs Cuticle Oil. High antioxidative ability, recover and keep the skin surrounding the nail soft and healthy. This unique natural revitalizing complex blend of peach extract, mango extract, calcium, safflower oil. Capacity: 6ml. 1 Bottle UR SUGAR Nail Nutrition Oil. Flavor： Peach oil. Vitamin 5 can protect well your nails. You will achieve longer, stronger and beautiful natural nails. Generally speaking, it takes shorter to arrive for major cities but longer for remote areas. 1 x Cuticle Pusher. A Must Product for Manicure and Pedicure. 1 x Nail Polish Corrector Pen. When painting your nail polish, you accidentally apply it to the skin around nails, using the nail polish corrector pen with nail polish remover can be easily removed. There is not nail polish remover in the pen. 50 Pcs Nail Art Orange Wood Stick Cuticle Pusher Remover Sticks Double Ended Dead Skin Removal Manicure care Tool. 50 orange wood sticks. Material: Wood. Spade Shape at one end and Sharp Tip and the other. You will achieve longer, stringer and beautiful natural nails. Great for nail art decoration with. nail polish, UV builder gel, acrylic nails, etc. to create a fresh image. Apply it on the skin of nail edge, nourish the skin and not let it dry. It's the professional way to pamper your nails and cuticles. Ideal for use on both natural and artificial nails. You will achieve longer, stringer and beautiful natural nails. Great for nail art decoration with nail polish, UV builder gel, acrylic nails, etc. to create a fresh image. Panthenol (Vitamins B-5) penetrate the nail surface and carry calcium vitamins and nutrients to the nail matrix. It is designed to be applied to the nail and cuticle during a manicure, or as needed to combat dryness. Suitable for nail salon, nail art school / college, personal use. 1PCS Nail Nutritional Pen. You will achieve longer, stronger and beautiful natural nails.